Do you love Mitsubishi? Have you owned several of its famed Evos throughout the decades and continue to be faithful to the brand despite its changing identity? Would you consider yourself Mitsubishi’s #1 fan? Sorry, but that honor has got to go to someone else. Meet Cliff Hodson, a 78-year-old, retired coach driver from a Tewkesbury, a small town in southwestern England. Ever since buying a Colt from Gloucester’s Roger Head Motors in 1979, Hodson has never turned to any other brand but Mitsubishi. Over the course of those 38 years, Hodson has owned a baker’s dozen Mitsubishis—and now he’s just taken delivery of his 14th—a 2016 Mirage. 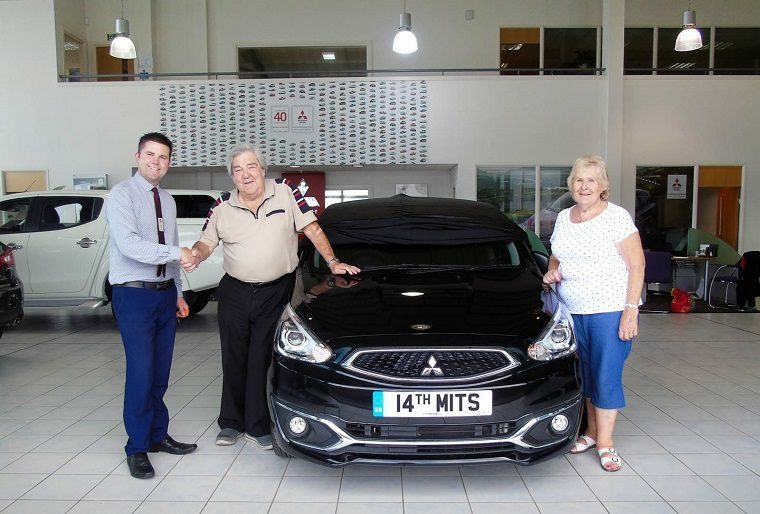 In the past, Hodson and his wife Ann have worked their way through a variety of Mitsubishi models of all shapes and sizes, including the Galant, Lancer, Sigma, Spacestar, ASX, and Mirage. Hodson says the ASX (known as the Outlander Sport in the United States) is his favorite and that he would continue to buy Mitsubishis even if won the lottery. Interestingly, he may be the only diehard Mitsubishi fan out there who has never owned an Evo.